500 Startups, a Silicon Valley-based startup accelerator and early-stage VC fund house, has launched a $25 million regional fund focused on India, Sri Lanka and Bangladesh. The 500 Kulfi fund is sector-agnostic but will focus on fin-tech, ed-tech, health and wellness, data analytics, content and software-as-a-service segments, the firm said in a blog post. Pankaj Jain, partner at 500 Startups, will lead the new fund. Jain, who the firm said has led investments in about 50 companies across six countries, joined the company in 2012. Previously, Jain spent about 12 years in the financial industry at firms including JPMorgan, Long-Term Capital Management and GlobeOp Financial Services. 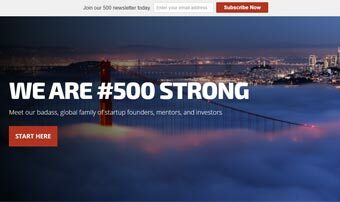 500 Startups was founded by former PayPal executive Dave McClure in 2010. Its network includes about 750 startups, 200 mentors and 1,000 entrepreneurs globally. The fund typically invests up to $250,000 in a company during the first leg. Its preferred sectors include financial services, gaming, payments, SaaS, and education on mobile and web. In March 2015, it had talked about reviving its India-focused micro VC fund 500 StartupWallah. The firm had floated 500 StartupWallah with a corpus of $5 million in late 2012, along the same time 500 Luchadores (regional fund focusing on Latin America) and 500 Durians (regional fund focusing on Southeast Asia) were launched. However, it never announced any fundraising milestone for 500 StartupWallah even though the other two funds raised money. According to reports, the company was planning to raise up to $20 million (about Rs 125 crore) for StartupWallah. The firm had on several occasions declined to comment on the status of this fund, despite repeated attempts by VCCircle in the past. As per a US SEC disclosure, the registration period of 500 StartupWallah expired on August 31, 2015. Jain had declined to comment on the plans to revive the fund when VCCircle contacted him in early 2015. In September last year, the company closed its third fund with $85 million, short of its target of $100 million. Tokyo-based Dentsu Inc, Yahoo Japan and Malaysia Venture Capital Management Berhad, a venture firm backed by the Malaysian government, participated in the fund.